The small rocks, many of them translucent quartz, fit together perfectly, like a jigsaw puzzle. Each rock is carefully selected and placed, held together strongly with silk. The case itself serves not only as protection for the larva, but also as a cocoon for the pupa. The case is cast off once the adult emerges, and swims to the surface to fly. 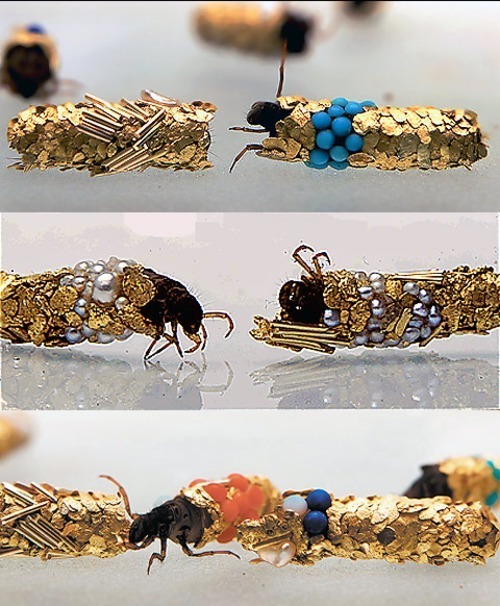 Several artists have been inspired by the artwork of caddisflies, most famously Hubert Duprat, a French sculptor who raised caddisflies in tanks filled with gold flakes, pearls, and precious stones. The insect then selects the ones it wants, creating its home out of . Thankfully the Leonardo article where I first read about these works is viewable online. The resultant creations are fantastic, but I find their original cases to be far more enchanting and inspiring. Here's a small selection of some natural beauties. I'll probably find excuses to post more caddisfly-related stuff in the future. I haven't realized how much I adore these creatures. This entry was posted in art, insect, JD and tagged caddisfly, Hubert Duprat, JD, Van Damme State Park. Bookmark the permalink. 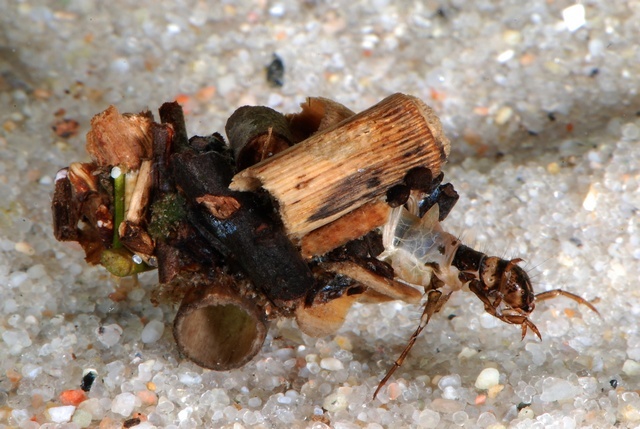 Yea for caddisflies! It’s great to read a blog post about them by someone else. I really love them and think they are seriously under-appreciated by the public, so I’m thrilled that you featured them in your post! What amazing little animals.